This special edition pays homage to the timeless classicism of New York City. 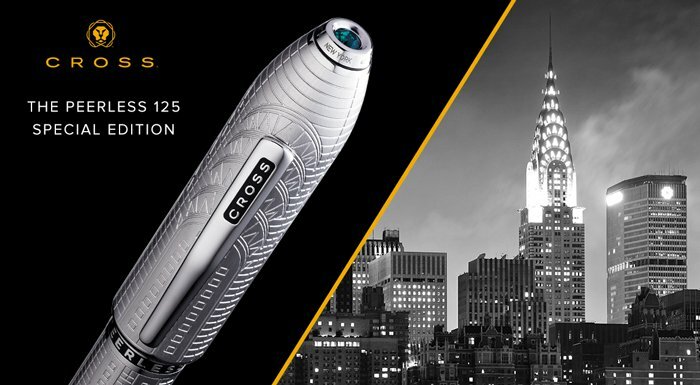 It features an exquisite, engraved design in platinum plate inspired by the iconic Art Deco architecture of New York’s Chrysler Building. A brilliant-faceted cut emerald Swarovski® crystal tops off the opulence to this beautiful writing instrument. Collectors may also be interested in our London and Tokyo special editions.